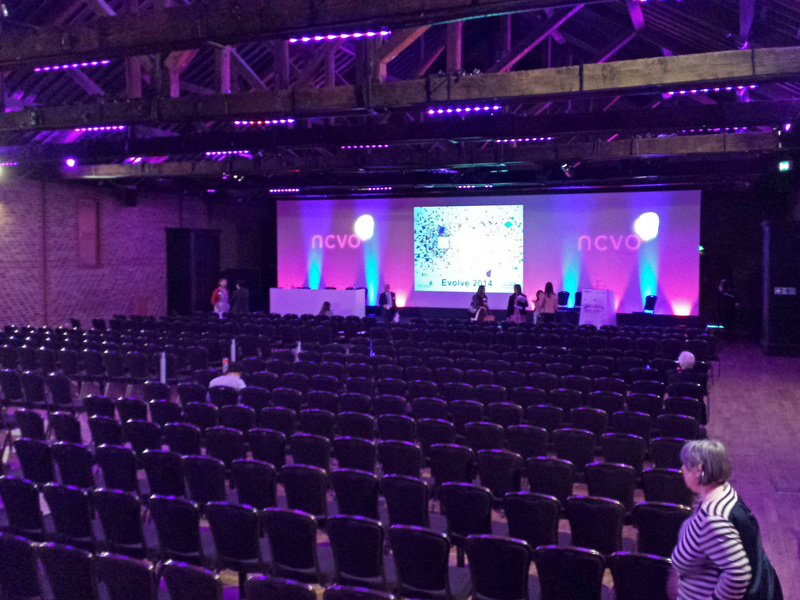 On Monday I was at The Brewery in London to attend Evolve 2014 – the annual conference of the National Council of Voluntary Organisations (NCVO). 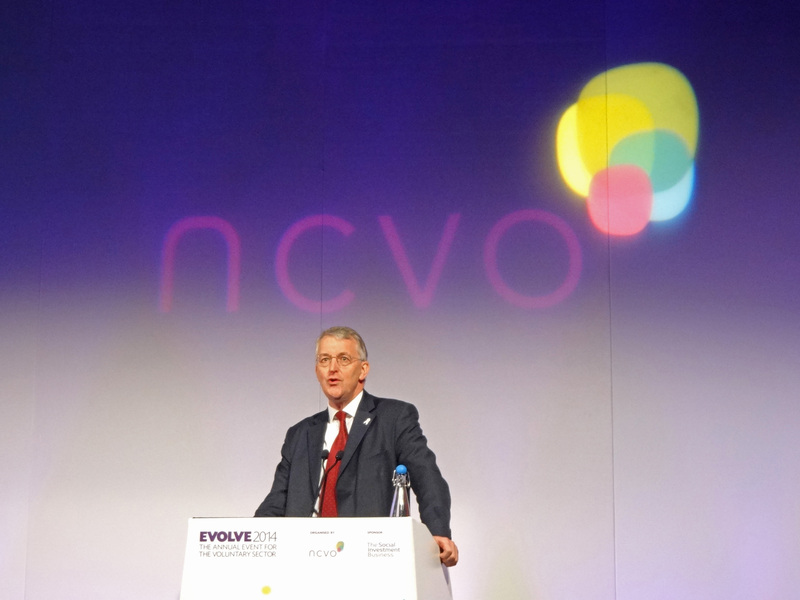 The NCVO conference is always a great event, attracting more than 400 delegates and providing a chance to hear some high-profile speakers, explore some key issues and take part in valuable networking. The first keynote speaker this year was Hilary Benn MP, Shadow Secretary of State for Communities and Local Government. He spoke about “a crisis of confidence in our politics” and said people felt a sense of powerlessness, with decisions being taken too far away from them. He criticised Russell Brand for suggesting that voting is a waste of time and said we should be encouraging the next generation to get involved. Hilary Benn confirmed that a Labour Government would repeal the Lobbying Act, saying “in a democracy you should be free to speak out”. He also stressed that we should be devolving power down in England, as has already happened in Scotland, Wales and Northern Ireland. The Shadow Secretary of State said “You [the voluntary sector] are the embodiment of a contributory society”. He described plans for a task force to look at the devolution of power and funding and spoke about creating new city regions and county regions, from the bottom up – “we need to build up places as well as London”. Hilary Benn said that passing power down is essential in order to be able to address the greatest challenge of our age – dealing with an ageing population. The second keynote speech was by Dawn Austwick, Chief Executive of the Big Lottery Fund (BLF). She explained that BLF was consulting on the new strategy it plans to launch next year and asked “what is the point of charity in the 21st century?”. She talked about her work with Mission Models Money, which had shown that arts organisations had become so preoccupied with money that their models had changed to align with the conditions of Arts Council funding, drifting away from their original mission. Dawn asked whether the BLF was here to set the agenda or to support the status quo. “Do we alleviate disadvantage or address the causes of disadvantage?” She said funding is an ecology and “we want to celebrate and nurture biodiversity”. It is important to look at what each funder adds to the equation. The BLF mission is to support communities and those most in need. Its scale, scope and reach – covering the whole of the UK, with a wide range of grants from tiny to huge amounts – enables it to reach the places other funders can’t reach. Dawn Austwick outlined four key areas for BLF: its management of knowledge, data and information; its access to decision makers, policymakers, as a conduit for other people’s expertise; its partnerships, using its funding to unlock other people’s funding; and how its responsive, demand-led, grant-making, gives BLF legitimacy and pays back into communities the money those communities have spent on Lottery tickets. She finished by saying “we need to be learning, enquiring and curious – marrying what we uniquely do with what you uniquely do”. 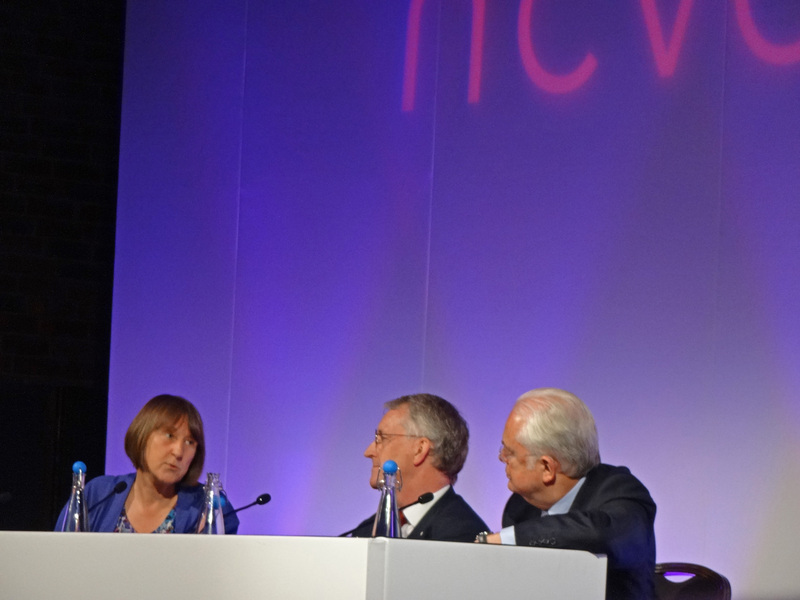 The first workshop session at the NCVO conference was interrupted by a fire alarm with the whole conference centre being evacuated while three fire engines dealt with a fire in the kitchens. Fortunately no-one was hurt and we were able to resume the conference after a long wait on the pavement outside The Brewery. In the afternoon I attended a workshop on ‘campaigning, media and social action’ which included presentations from Emily Roberts, Project Manager for The Big Lunch, Diane Reid, Head of BBC Outreach and Corporate Responsibility and David Cohen, Campaigns Editor at the London Evening Standard. It was a very interesting exploration of the role the media can play in charity campaigning. At the end of the session I managed to speak to Diane Reid about our Up for Arts partnerships with BBC local radio stations and the potential for developing the model further. In the final plenary session of the conference Alex Whinnom, the Chief Executive of the Greater Manchester Centre for Voluntary Organisation (GMCVO) gave a very impressive presentation which focussed on the imbalance between London and the regions and called for devolution within England and the ability to take decisions locally. 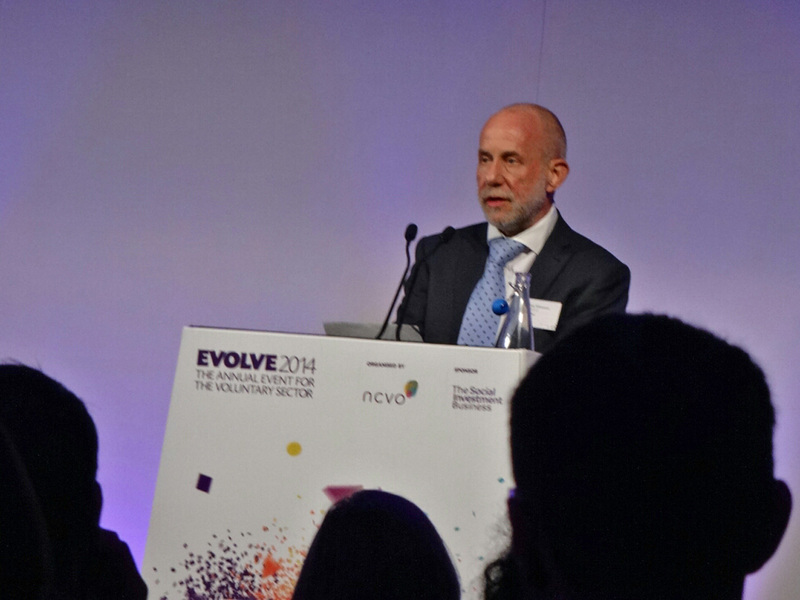 He said “devolution isn’t a zero sum game, it’s a win-win”. There was then a very interesting debate about how charities can manage their reputation in an era of scrutiny. Bobby Duffy, the Managing Director of Ipsos MORI reported that, contrary to perceptions within the voluntary sector, the public’s trust of charities is increasing. Only three professions have declined in terms of public trust in recent years – the clergy, newsreaders and pollsters. Donald Steel, a Reputation and Crisis Consultant said that charities can prevent reputational crises in the way they run themselves and that reputation lies with leaders. 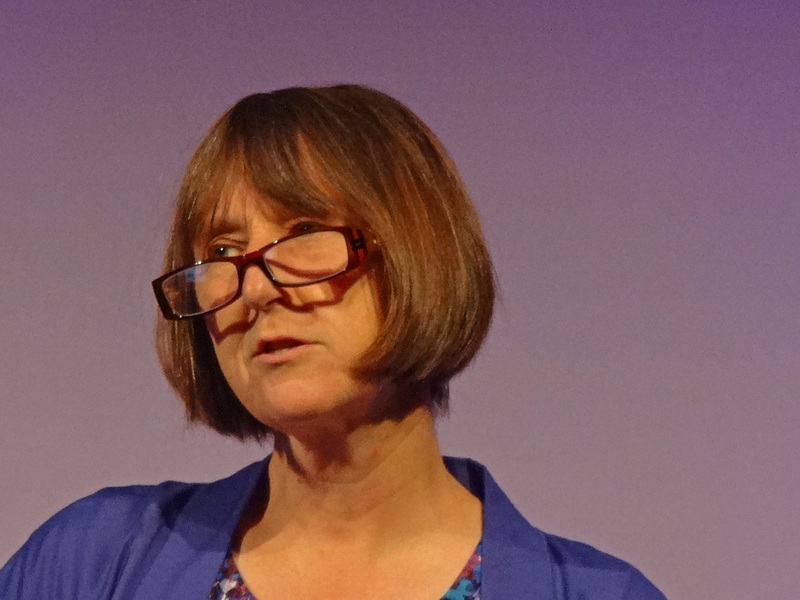 Dr Beth Breeze, Director of the Centre for Philanthropy at the University of Kent agreed there was no real evidence of a crisis of reputation in the voluntary sector. She said most charities have powerful underlying themes that make them resilient. Founding stories give charities a strong original reputation that can see off subsequent attacks. Finally the Chief Executive of NCVO, Sir Stuart Etherington, said that it was important for charities not to react to reputational attackes in a way that amplifies the issues. I was back in London on Thursday for a working lunch organised by Community Matters and hosted by the National Council for Voluntary Youth Services. This informal gathering brought together more than a dozen national organisations representing community groups, many of whom used to be members of the Community Sector Coalition. We had a fascinating and wide-ranging discussion on topics including a broader vision for community finance, opportunities for autonomous and self-directed social action and connection with young people. We agreed to continue to meet occasionally as an informal group rather than trying to create a new alliance or coalition.